In this issue of MMO Co-Opportunities, we’ll be spotlighting the recently released second expansion to Guild Wars 2, Path of Fire. Specifically, we’ll be examining how its three big features (new story/map content, mounts, and new Elite Specializations) stack up in terms of co-opportunity capability. First, a brief descriptive introduction of each of these new features, starting with the new story and map content. 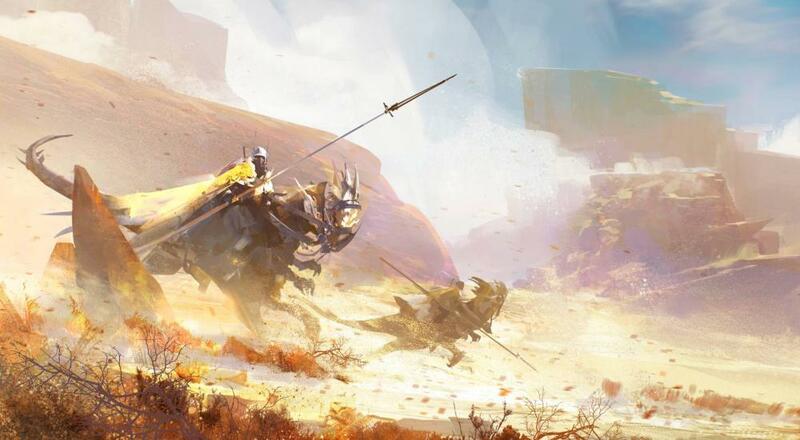 Following the events of Living Story: Season 3, Path of Fire opens up a brand new region of the world: the Crystal Desert. The expansion’s new campaign story takes characters across five new zones (the Crystal Oasis, Desert Highlands, Elon Riverlands, The Desolation, and the Domain of Vabbi) as they try to unravel the long mystery of the disappearance of the Gods from the world. These new zones provide access to unlocking mounts, the expansion’s brand new Mastery mechanic. Like the first expansion, Path of Fire doesn’t increase the normal character level cap; instead, it adds in more Mastery Paths which grant Mastery levels. Mastery levels track player progress completely separate from character advancement (Mastery levels are even shared across all characters on an account). Mounts give players new and exciting ways to traverse the world, just like how Gliding Masteries did in Heart of Thorns. 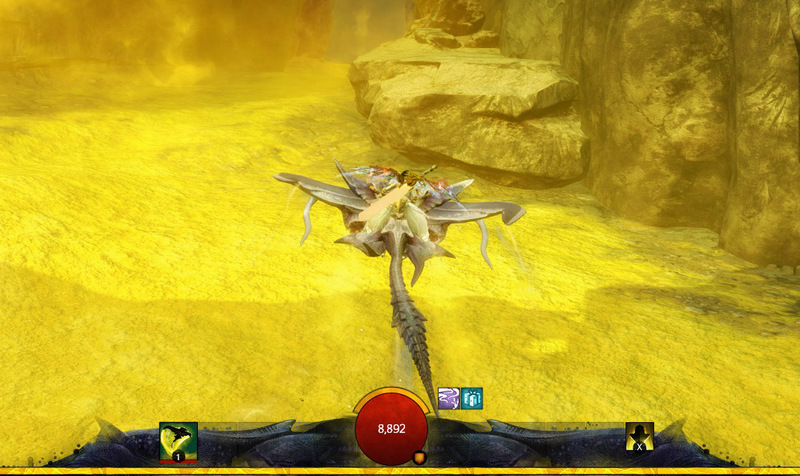 Each mount (most being unlocked by completing a particular renown heart and paying an amount of gold) has their own unique way of navigating the world, with enhanced abilities being unlocked as your progress deeper and deeper into its particular mastery track. 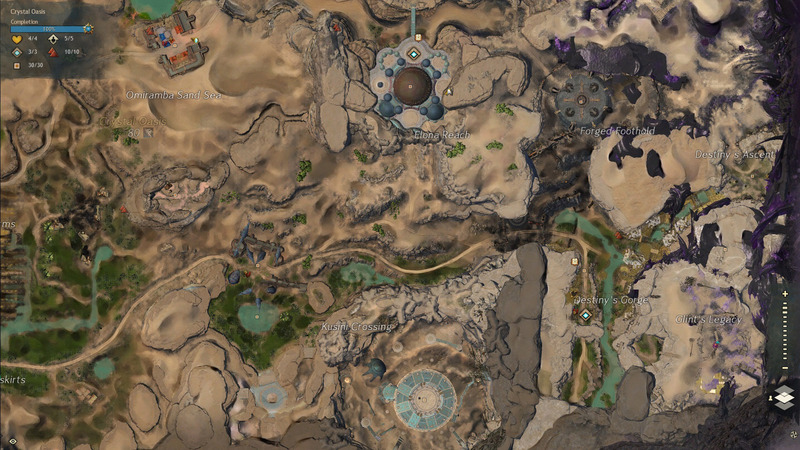 While many of the Elite Specializations are thematically based on ideas associated with the new zones, players won’t need to visit the Crystal Desert to unlock of advance them. Like the Elite Specializations originally introduced in Heart of Thorns, they simply require character level 80 to unlock and can be advanced through the collection of Hero Points anywhere in the world. Players should note that only one Elite Specialization can be equipped at a time, even though currently two exist for each profession. Each one introduces a new weapon option that requires the specialization be equipped to wield, as well as some new mechanic for the profession. Now let’s get down to how each of these major features fare from a co-opportunities angle. Like most other Guild Wars 2 content before it, Path of Fire’s story content supports both solo and cooperative play with ease. I’ve discussed this at length before in my Guild Wars 2 and Heart of Thorns spotlights, so I won’t be reiterating on that aspect. I did run into one bug where a particular mission would break if attempted cooperatively, but it was obviously not intended and has hopefully been fixed by now. As far as quality and quantity, Path of Fire’s story felt reasonable in length (though a bit shorter than the first expansion), but a little disappointing for me personally in regard to its structure and plot. As a Guild Wars nut, though, I likely had unfair expectations of the story going into the expansion.